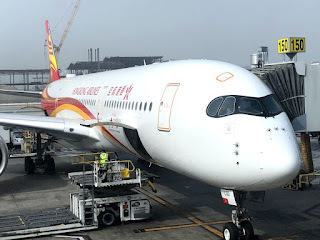 Hong Kong Airlines had a steal of an airfare from Los Angeles to Hong Kong for $323 round-trip in economy, so we jumped at the chance to explore this great city. We booked about five months in advance through Kayak and Vayama. 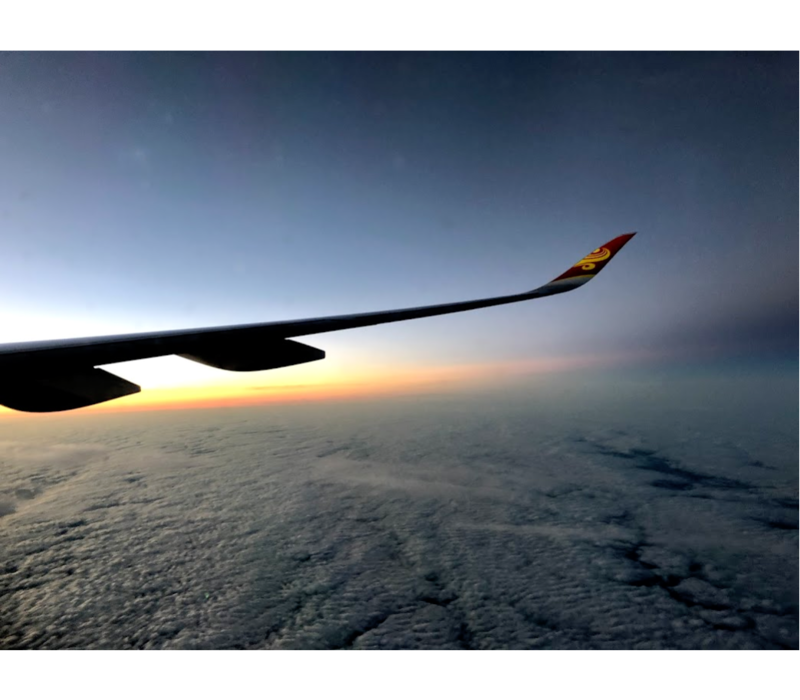 Initially, we found the deal on Google Flights for about $378. We were tempted to pay a few dollars more to go with the more reputable Cathay Pacific, but when I checked for lower fares on Kayak and Momondo, I found even cheaper fares with HKA. The best price was with Vayama, so I clicked through to the site with Kayak. A minute later, I received a “booking acknowledgement” email, which basically means they have your request, but it’s not ticketed. I was worried they might realize the fare was $55 less than everyone else, but about 8 hours later I received a second email with e-ticket numbers. These “851-” numbers are very important because, unlike most airlines, HKA doesn’t use traditional six-character reservation locators. I also verified the booking was legitimate with the airline. They sent me an official receipt, which showed the price paid as $382. As best as I can tell, we weren’t charged the fuel surcharge, which is why the price was lower at Vayama. We decided to rent a car to LAX. Advantage had a $23 one-way deal, so it would be much cheaper than driving up and paying for parking (the rental agent speculated they needed cars at LAX). We also wanted to leave time to get breakfast at one of the Priority Pass lounges. We hopped off the shuttle at Tom Bradley International Terminal and made our way to the Hong Kong Airlines desk. 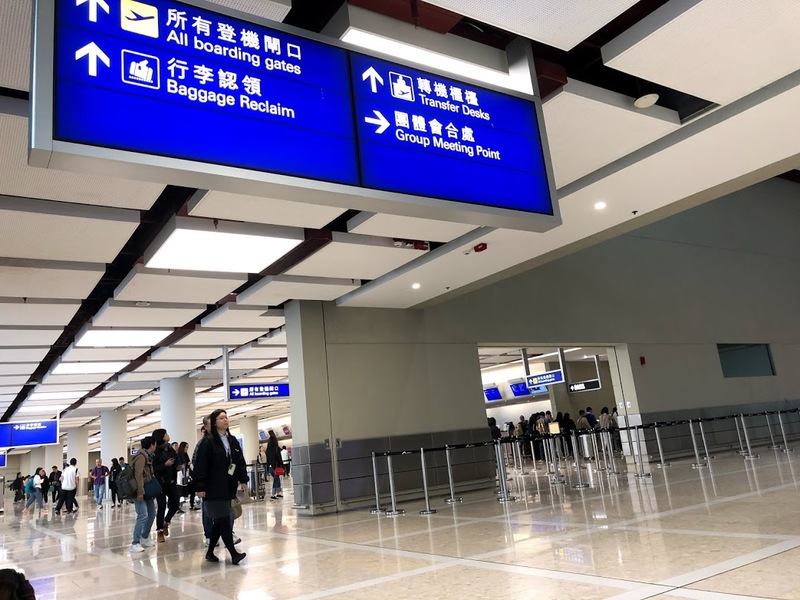 The staff are contractors who said they also work the China Southern and Xiamen flights because of their knowledge of Cantonese. 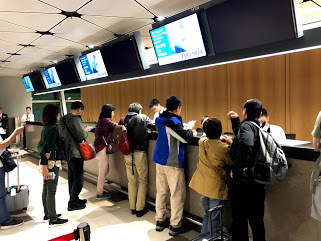 There was no line, but it took a while to get our boarding passes because first they couldn’t find our connecting flight to Taipei. I booked it separately once we planned out our itinerary, but HKA lets you merge reservations at the airport and will check bags through to the final destination. After a brief hiccup, the agent was able to check the bags to Taipei, but couldn’t give us boarding passes for the next flight. 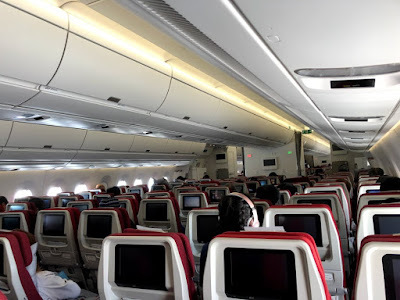 It seems the system was partially down so everyone (about 40% of the plane) with connections would have to go to the transit desk in Hong Kong. We had a quick bite at Barney’s Beanery in T2 (a former Priority Pass restaurant worth skipping) and made our way to Gate 150 for departure. The plane arrived early from Hong Kong and I was excited to fly on an Airbus A350 for the first time. Boarding felt chaotic. Everyone was separated into three groups (A, B, C) and queues junctured off in different directions. We decided to avoid the mess and sat comfortably until things quieted. Fortunately, boarding went quickly and we pushed back a few minutes early. The in-flight entertainment system had enough content to keep me entertained. It was a variety of Asian and Western features. Nothing too special, but just enough. My favorite feature was the tail and nose cameras. Soon after takeoff, flight attendants began a beverage and meal service. HKA offers a choice of a western or traditional meal. We were in the back and options were a bit limited. 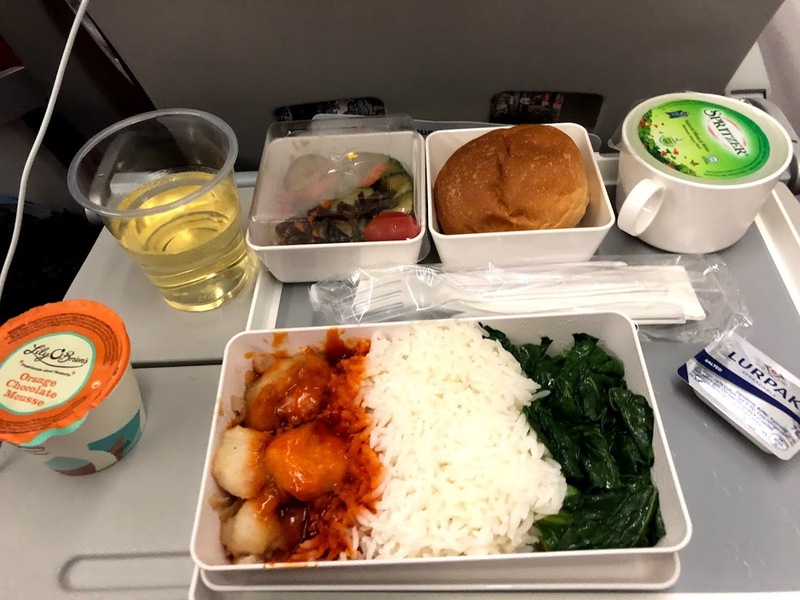 I think I got the last traditional meal, which tasted fine for airline food. It took longer than expected to clear the trays. Then I sat back and enjoyed the IFE. One movie in and I was already starting to get hungry. 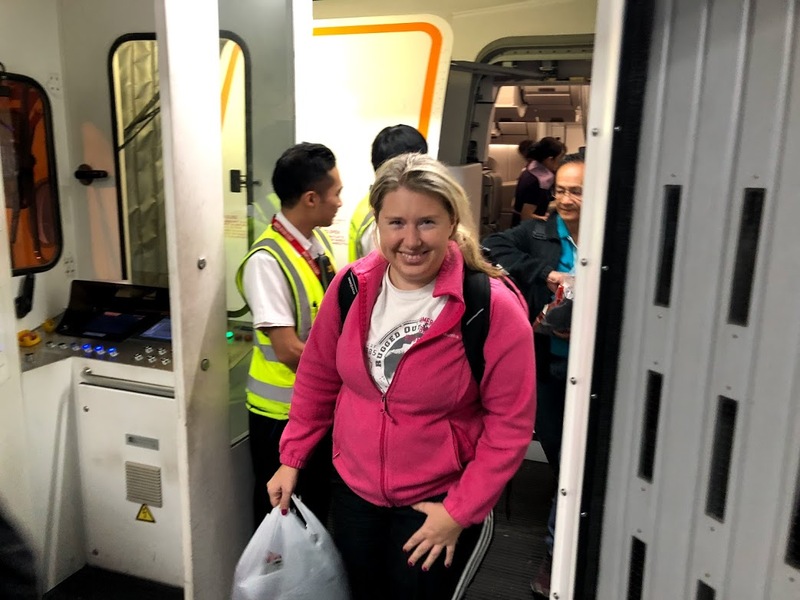 Flight attendants set up a cart in the back with tea, hot water and snacks. I recommend going early in the flight because the best options (nuts and chocolate) were gone by hour 7. 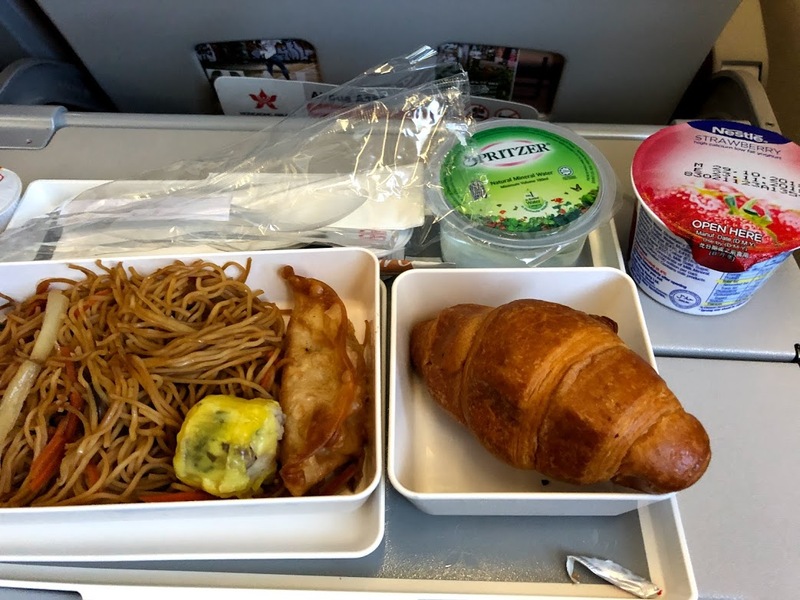 There was also a midflight hot snack and a final meal service about two hours before landing. Again, it was a choice of either a traditional or western meal. This time there was more selection. It was a quicker service and soon the crew began preparing the cabin for arrival. The flight touched down about a half-hour early and taxied to the arrivals area. We made our way to the transit desk, where many passengers from our flight were waiting to get their boarding passes. Some had tight connections, but our early arrival made things easier. 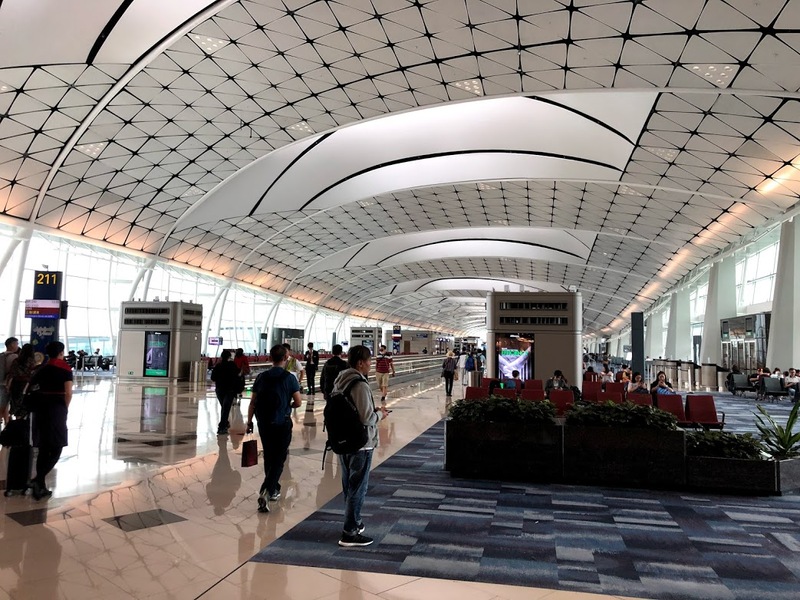 We booked with a lot of pad for the connection, so we made our way to the Priority Pass lounge to relax before flying to Taipei. After exploring Taipei and Hong Kong, it was time for us to go home from Macau. We used our winnings from the casino (seriously! ), combined with a China Eastern frequent flyer discount (free to join) to pay for the ferry directly to Hong Kong International Airport. 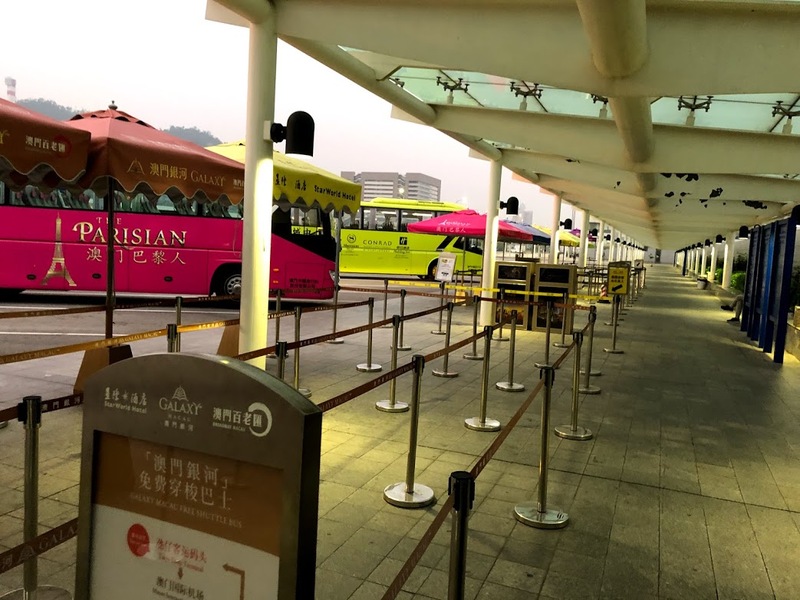 Our hotel, the Holiday Inn-Cotai Central, offered a free shuttle bus to the Cotai Ferry Terminal. The first bus got us to the Taipa Ferry Terminal with plenty of time for our ferry. It’s an extremely convenient system. 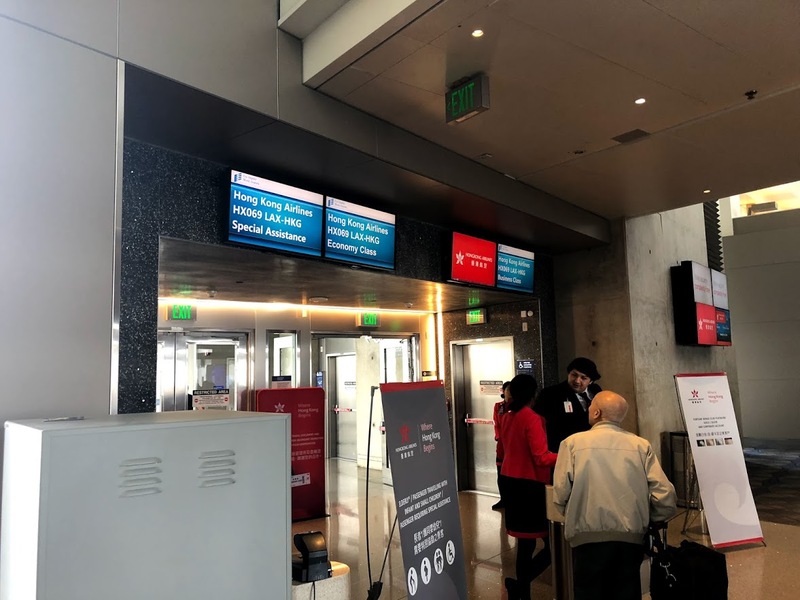 You check in for your ferry and flight in one place. They then tag and check your bags to their final destination at the ferry terminal. This avoids having to haul them on the ferry and throughout the terminal. Instead we just picked them up again at LAX. 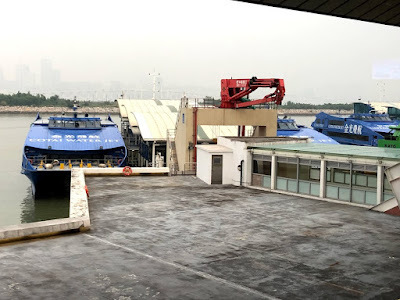 The ferry was uneventful and we arrived on time to HKIA's Sky Pier. 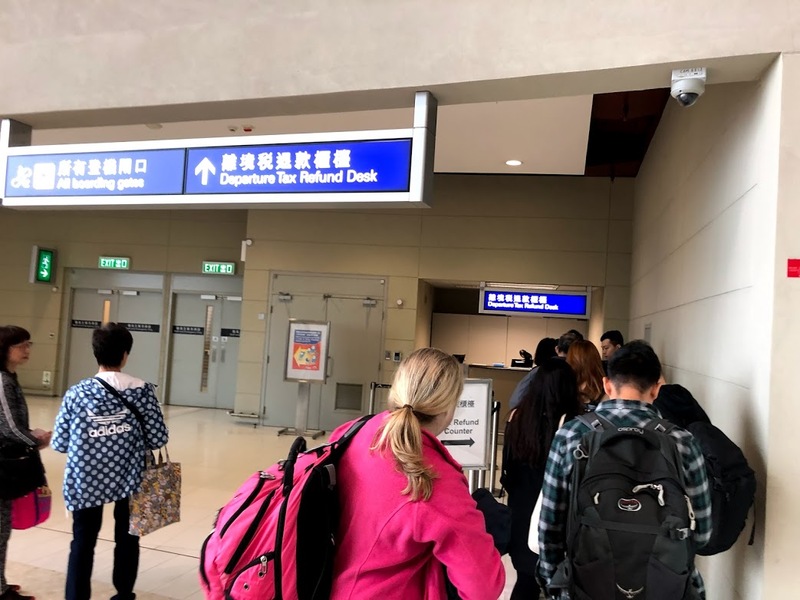 As an added bonus, since you’re “transiting” through HKIA and not departing (Macau is a separate region) you’ll also receive a HK$120 refund of your departure tax! We then used the currency exchange desk at the airport to convert it to U.S. Dollars at a very fair rate. We hadn't eaten breakfast yet so we headed to the lounge once again before going to our gate a few minutes before boarding. The U.S. requires Hong Kong to further scrutinize U.S.-bound passengers so allow time to show your passports again before boarding for LAX. 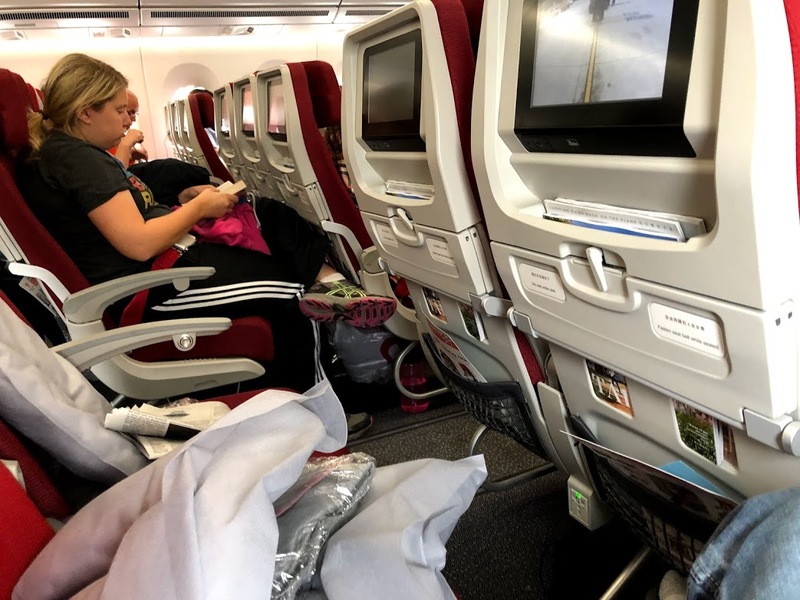 This flight was less crowded than the one going to Hong Kong. I had a whole row to myself and Tara had an empty seat next to her. Even though it was a different month than when we left, the IFE had most of the same movies as we had on the way in. I re-watched “Hidden Figures” while waiting for lunch. I chose the traditional menu item of fish with rice and vegetables. It was surprisingly tasty, once mixed together. The salad also complemented the meal well. HKA served an orange/chocolate mousse for dessert, which tasted great. My expectations were high for the midflight snack, too. Sadly, it was disappointing. 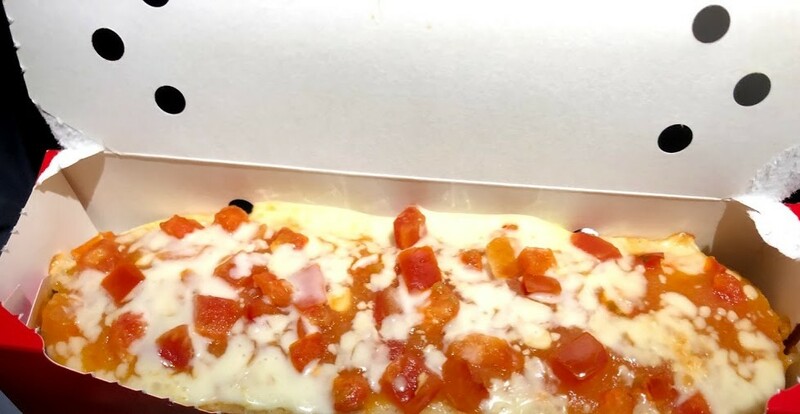 Flight attendants served a miserable pizza. It was topped with tomatoes that made the whole thing soggy. Thankfully, some snacks in the back held me over to the final meal, about two hours prior to landing. As we saw our second sunrise that Thursday, I selected my final traditional meal. It was supposed to be a “dim sum variety,” which after tasting amazing dim sum for the last week, was a bit of a let down, but still good for airplane food. It was an average large dumpling and some noodles with a croissant and yogurt on the side. The smaller dumpling was very good, though. Soon, we were landing at LAX almost 40 minutes before schedule. Thanks to Global Entry, we cleared customs well before the bags arrived. I’d be lying if I didn’t say I had some fear that my bags would somehow miss the ferry or plane. Thankfully, they came out toward the end of the baggage drop. A few minutes later, we were on our way to the Hertz lot to get our rental car and drive home.